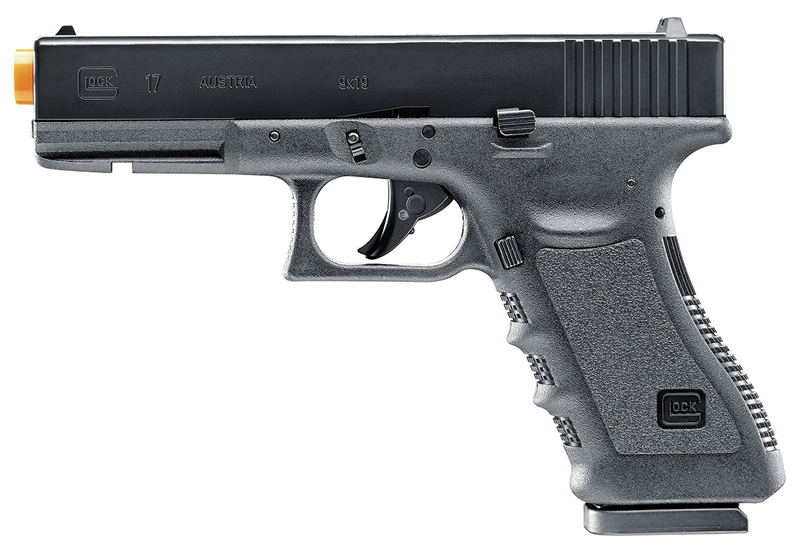 Authorized by Glock™, this CO2 blowback G17 is an add-on to Glock Airsoft pistol family. 1:1 scale of metal slide, polymer lower and grip mimics the real Glock. The pistol shoots at 330 fps with .20g BBs and blows back the slide every time. Each magazine holds 14-round BBs. One extra magazine save your time and money to reload.